Emily Ustach originally joined New Urban Arts over the summer of 2007 as a studio manager and has since been involved in various ways including as an artist mentor, volunteer and the chair of the 2011 Program Committee. She has received training in Art History and painting, but has found her creative practice lies in youth development and non-profit administration. 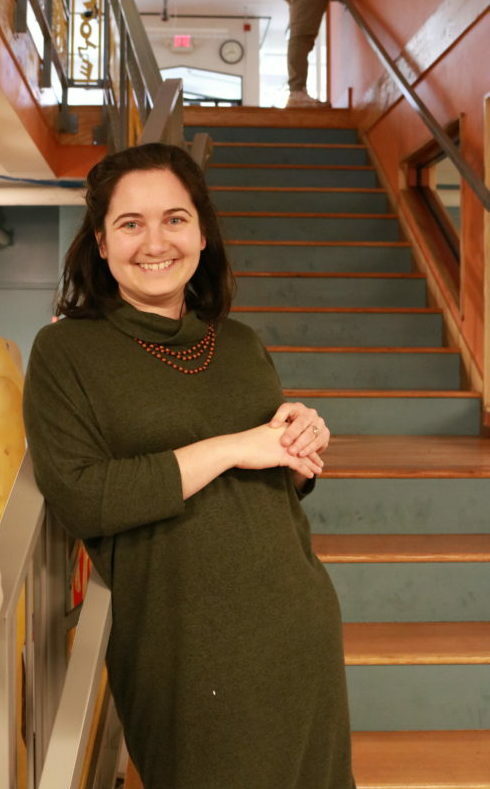 Prior to joining New Urban Arts as Director of Programs, Emily developed the Education Fellowship AmeriCorps program at The Learning Community, a nationally recognized public charter school. She also worked as the Program Coordinator at Rhode Island Campus Compact, where she supported college student’s civic and community engagement. Through her work with the Education Fellows and college students, she has built a practice of supporting emerging professionals as they take risks and explore future possibilities. Emily was born in a small town in Eastern North Carolina where she was raised among artists and scientists. She received her B.A. in Art History from Salem College, in Winston-Salem, NC and her M.A. in Community Based Arts Education from the Rhode Island School of Design. She lives in Providence with her husband Mike and their cat Kepler.